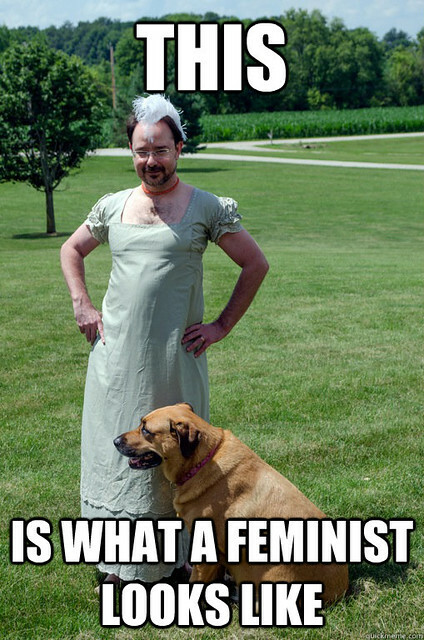 Over the weekend, some dudebro with a history of shitting on women took this picture of me (which you may remember from here) and meme-ized it, with the intent, given his personal history and predilections, of mocking me — both for my views as regards women, and for wearing a dress. Well, this dudebro clearly knows his way to this site, where the picture was originally posted, by me, so let me go ahead and address him directly. Dudebro: Let me detail for you the various ways this picture has utterly failed you as an attempt to ridicule me.